Finfish populations in Maryland's Coastal Bays are primarily monitored by the Coastal Fisheries Program. This is a program within the State of Maryland Department of Natural Resources, Fishing and Boating Services, Estuarine and Marine Fisheries Division and is comprised of a staff of four biologists. Our coastal biologists are a dedicated team who work long days in the field and have a great appreciation for Maryland's coast. We also work with commercial and recreational fishermen, seafood dealers, state and federal management agencies, the Maryland Coastal Bays Program, and other local organizations. 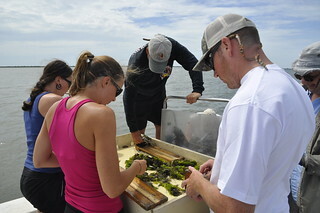 Additional staff from the Estuarine Division also work in the Coastal Bays monitoring species such as shellfish and eels, participating on technical and monitoring committees that are not staffed by the Coastal Fisheries Program, commercial permitting, developing artificial reefs, and provide statistical support. Additional Department of Natural Resources units, Chesapeake and Coastal Watershed Services and Resource Assessment Service also work in the Coastal Bays planning and monitoring water quality. 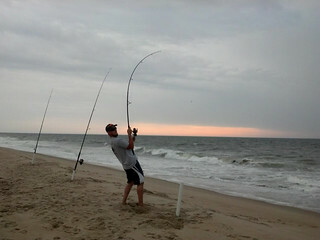 There are diverse inshore and offshore recreational fishing opportunities out of Ocean City, Maryland. Inshore opportunities abound from boats (private, rental, or charter), piers, bridges, bulkheads, jetties, and surf fishing from the beaches. Inshore anglers catch summer flounder, black sea bass, tautog, croaker, spot, kingfish, red drum, weakfish bluefish, rays, skates, and sharks to name a few. Private boaters, party boats, and charters head offshore. Offshore opportunities are available from party boats fishing reefs to charter boats and guides working the canyons. Billlfishes, tunas, mahi mahi, wahoo, and sharks are targets of the canyons. Tautog, black sea bass, and summer flounder are party boat staples. 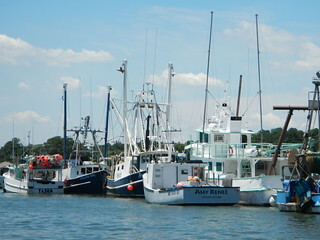 In 2010, there is no state-license requirement to fish in Maryland's coastal waters. However, there is a requirement to register with the Saltwater Angler Registry, which is free in 2010. For more information on how to register, please see www.countmyfish.noaa.gov. Starting January 1, 2011, you will be required to purchase a Maryland fishing license to fish in Maryland's coastal waters, including the Coastal Bays and the Atlantic. However, you will not have to separately register with the Saltwater Angler Registry.